This delicate modern white gold diamond engagement ring features a round diamond center with a shimmer of diamonds on the shoulders. The ring’s graceful open twist shoulders, sweep up from the shank to create the prongs that hold the round diamond center securely. 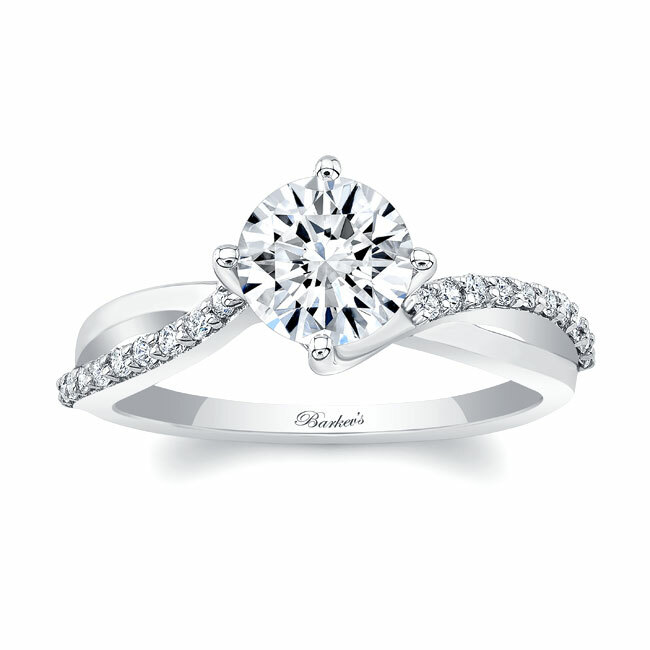 The opposing twists of the shank are adorned with shared-prong set diamonds for a subtle sparkle that will draw the eye.